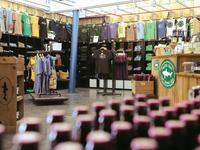 Grab an off-centered memento of your trip with barware, clothing and more featuring a Delaware icon. Include some beach fun and memories to your holiday celebration with an ornament from Christmas Spirit in downtown Rehoboth. Decorate your house like a DuPont estate. George Washington’s porcelain is a treasure of the Winterthur antiques collection, and you can have a beautiful replica of your own. Show off your taste for the finer things with a bottle of wine from Harvest Ridge Winery. The Blue Hen Blue or Malbec are sure to have people back home talking. 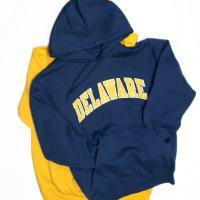 Remember your good ol’ college days by showing off some Blue Hen pride. Incredible photography, delicious recipes and fascinating histories fill the pages of Landmarks & Legacies and First State Plates both available at VisitDelaware.com. Help cheer on the Wilmington Blue Rocks with a hat, shirt or pennant featuring one of minor league baseball’s most unique mascots, Mr. Celery.